According to Brown, Pague “played a pivotal role” in refuting the myth of Portland’s dismal raininess. That’s not the only time Pague was pivotal. Bemer S. Pague was also a bicyclist. 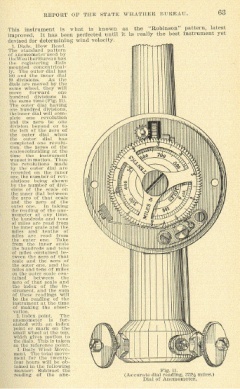 As Forecast Official Pague dealt with a lot of reporting instruments, and like most scientists at the time he had to be handy with the fine mechanisms of his equipment. And like the Wright Bros, who went from bicycles to flight, it’s not surprising that Pague, a skilled weatherman and mechanic, should be drawn to bicycling. Pague’s bicycling activities come into focus in May of 1897. Perhaps coincidentally, the world of cycling was changing just then. The economy was finally coming round after four years of depression after the Panic of 1893, and bicycling numbers were growing dramatically. The preeminent national bicycle association, the League of American Wheelmen (LAW), was facing open rebellion over their prohibition of Sunday racing. In the so-called “LAW Secession,” the California Associated Cycling Clubs formed their own racing circuit, and the LAW’s own advocacy efforts dimmed. The Oregon Division of the LAW had been active mid-decade, but now there was a vacuum. And bicyclists were everywhere. Pague was born on December 9, 1862 in Carlisle, Pennsylvania. In 1882 just as he was turning 20, he joined the instructional school of the US Weather Bureau. The Bureau was newly formed and had evolved out of the Signal Service of the US Army in the 1870s. The country was vast, the weather still mysterious. Pague moved to Oregon in 1886. He was in the Oregon National Guard, and reported on weather from Roseburg in the late 1880s. Finally, in 1888 he was appointed observer in charge in Portland and in 1898 became Forecast Official in charge of the Pacific Northwest Division. He served this post until 1903. His first office was in the Kamm building on SW First and Pine. Later he worked in the Oregonian building at SW Sixth and Alder. He lived in the Piedmont neighborhood on Williams, very near Penninsula Park. Pague’s post in Portland was a prestigious one. Forecast Official was the second highest grade in the weather service, and there were only three others, in Washington DC, Chicago, and San Francisco. Pague was no ordinary weatherman. Nor was he an ordinary cyclist. At the junction of the two roads [Columbia and Vancouver] is a beautiful grove of cherry trees, which some enterprising ladies have recently fitted into a veritable fairy bower, surrounding the grove with canvas, and will serve to all who hunger and thirst dainty sandwiches, ice cream, and fresh milk form the dairy, of which the grove is a part. 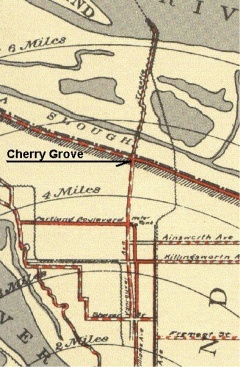 They have named this delightful wheeling resort Cherry Grove, and that this certainly means much to all wheelmen goes without saying. 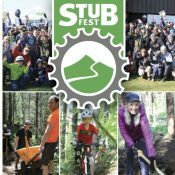 Just a month before this, a group of cyclists had met to consider banding together to form an advocacy group. This is a wonderful age, but the most wonderful invention of the age is the bicycle. It is an invention of purely mechanical principles: it is driven not by electricity, not by steam. It might have been invented 500 years ago if they had had the mechanics. It is necessary for us to look out for the interests of the wheel. There are more wheels than any other vehicles in Portland. 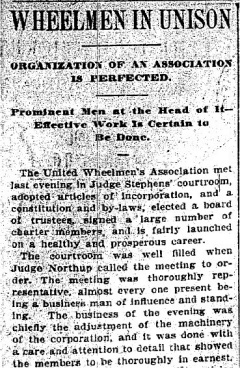 A month later, in May 1897 they adopted articles of incorporation for the United Wheeling Association (also known as the United Wheelmen’s Association). Pague was one of the charter members. 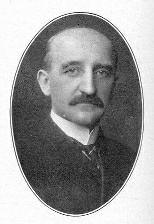 By the summer of 1898, Pague was on the board of directors for the UWA and President. The club had decided to push for legislation and in December of 1898 Pague was working on the Cycle Path law. He made trips to Salem often, to lobby, to socialize, and to report on crops and weather. In February, Governor Geer signed the law. That summer the Statesman reported that Pague “was in Salem yesterday, having come down from Buena Vista, accompanied by the Misses Anna and Margaret Longacre. Mr. Pague is visiting at the Longacre home for a few days, enjoying an outing with his wheel and camera.” At the same time, the Polk County Observer, published in Dallas, was printing the weekly crop reports that Pague assembled as part of his weather job. He seemed to be everywhere. In the early 1890s Pague had studied law with the University of Oregon, and had moonlighted as a lawyer early in his career. In 1903 he began to officially practice law in Portland. 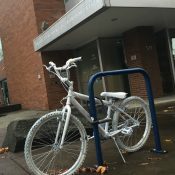 H. Bush was found guilty of driving on the Vancouver bicycle path by Judge Hennessy on Wednesday. 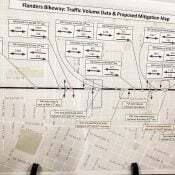 So far, so good, The United Wheelmen’s Association, who pushed the prosecution of the offender, have acted entirely within their legal rights in their efforts to “protect the paths.” Now let them show equal zeal and energy in protecting the public by making complaint against certain notorious scorchers who use Sixth street, Morrison street and other business thoroughfares as a race track on which to display their antics. After 1903 Pague’s formal practice appears to have focused on wills and bankruptcy proceedings. Pague died on January 8, 1915 after a kidney operation at St. Vincent’s. He lived in NW Portland on Pettygrove. For Pague, facts mattered. He exhaustively demonstrated that Oregon wasn’t all wet, as many would have it. He also understood and actively worked to promote and protect the public goods of bicycle infrastructure. For this he is surely one of Oregon’s bicycle heroes. I didn’t know the bicycling tradition in Portland has such deep roots. damn. now i want to ride out to cherry grove for “dainty sandwiches, ice cream, and fresh milk form the dairy” but i fear i shall be quite disappointed! thanks for another taste of history, eric! 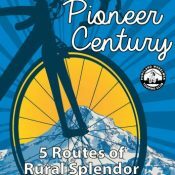 I think this is an excellent contribution to our Oregon bike world and wish that the 2007 history lecture would be repeated so we can hear more. THanks to Eric and Jon.